"In 1930s Munich, danger lurks behind dark corners, and secrets are buried deep within the city. But Gretchen Müller, who grew up in the National Socialist Party under the wing of her "uncle" Dolf, has been shielded from that side of society ever since her father traded his life for Dolf's, and Gretchen is his favorite, his pet. Prisoner of Night and Fog enraptured me from the very first page; we’re introduced to Gretchen a.k.a Gretl, her brother Reinhard and his friend Kurt - both members of the renowned SA troops- as well as Gretl’s friend Eva. (Who we should all know later becomes Hitler’s mistress and wife for less than 24 hours.) We’re exposed to the hatred the Germans feel towards the Jews, evident in the abrupt brawl Kurt and Reinhard initiate after simply seeing an innocent Jew walking on the footpath. We’re also presented with a different side of Hitler; as opposed to the tyrannical dictator responsible for the deaths of over 6 million Jews in WWII, we see a kind, loving and supportive father-like figure that dotes on his niece. But of course Hitler begins to show his true colours as the story progresses. The story revolves around Gretl and her quest to uncover the truth behind her father’s death. (Her father was a martyr, who died protecting Hitler during the Beer Hall Putsch – an attempted coup in 1923.) Gretl and a Jew reporter, Daniel have reason to believe that there's a conspiracy behind her father’s death and the story starts from there. Gretl is a character I admired – it’s not easy working together with a Jew and later falling in love with him when every other person of her race is intent on killing his race. She’s a risk-taker, and I loved her for it. Throughout the entire book, I was so worried about the inevitable moment when Hitler and/or her brother discovered her intentions and she was faced with the ramifications of her decisions. There are books that are thought provoking in the moment and others that continue to haunt you days, months, even years after you’ve put the book down. Prisoner of Night and Fog falls into the latter category. Interestingly, what made it so thought provoking and eternally moving was firstly the hope that perhaps, even during the most desolate, vengeful and hate-filled times, people from two worlds who were taught to hate each other realise that instead of hate, it’s love they feel for one another. I love stories of forbidden love, so even after I finished reading this, the thought that perhaps there were more people who shared Gretl and Daniel’s love for one another existed during WW2 consumed me. The second thought-provoking aspect of the book, which also forever changed my perspective on the Germany’s most notorious leader, was the portrayal of Hitler. As I’ve learnt in history, there is no “truth” in history – it’s all perspective and stories. (E.g. There are historians who deny the Holocaust ever happened). But for those of us who studied history in school, or did extra-curricular research on him, would most likely consider him inhuman due to what he did/engineered in World War II. I would always be filled with despair every time I read about the number of deaths that occurred, and how they died, but part of me always believed that no matter how wretched and extreme Hitler’s actions were, he truly believed his actions were justified, as he only wanted what was best for his country. However, after reading Prisoner of Night and Fog, I realised that Hitler’s character was much darker and morbid. Psychoanalysts (both in the book and from my personal research that was prompted by the psychoanalysis present in the book) characterised Hitler as “psychotic”, and was neither able to feel love nor be able to relate to others. I always thought that even the most evil of all men(or women) still felt love for his/her family…but as for Hitler? In the book he seemed to pretend to care for those around him, but once they began to question him, his intentions and started breaking through his manipulations, he didn’t give a damn about them. Basically, ever since reading Prisoner of Night and Fog I became rather fascinated with Hitler’s character and have been reading all these reports/texts on Psychological Analysis of Hitler (basically what Psychology students probably read for their assignments) and honestly, they’re incredibly interesting. This is why I love historical fiction – a good historical fiction will always prompt me to conduct research on the characters after reading about them. As you can probably tell, I LOVED this book. I would always, without fail, recommend historical fiction to ALL readers of any age and this particular book is no exception. This book isn’t perfect, but for a debut and historical novel, it’s one of the better researched, more evocative and engaging ones. I’m looking forward to more books by this extraordinarily talented author. 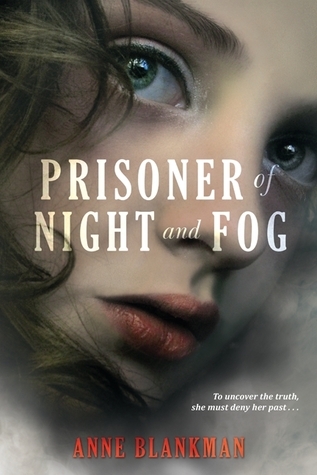 A massive thank you to Balzer + Bray for providing a copy of Prisoner of Night and Fog for review! I also interviewed Anne Blankman last year. You can read the interview HERE. Gyah, I'm just so excited for this book! I have the e-galley in my Kindle (yeah, I'm really behind in my reading, if you can tell xP) and I'm getting more and more hyped up, seeing all these positive reviews. I love that it sounds like the author holds nothing back -- doesn't sugarcoat anything or try to hide us from the intense hatred the Nazis felt toward the Jews. Because even though I've read quite a few WWII fiction stories, none of them really focused on this aspect, for some reason. And I don't care that history isn't all truth and fact -- all those historians denying the Holocaust can go throw themselves off a cliff. Like, right now. It sounds harsh, I know, but seriously? There is SO much evidence showing that the Nazis DID kill millions and millions of Jews in gas chambers -- there're so many mass graves and more have been found recently. It just makes me so angry that people refuse to believe that such a horrible thing as this happened when there is a ton of evidence proving it -- the Nazis even admitted to gassing hordes of Jews themselves. But back to the book: I'm really intrigued to see how Blackman wrote about Hitler's character! Like you, I've always associated him to the meaning of pure evil. I think it would be really interesting to see this "darker and morbid" character here. I felt the same about Rose Under Fire by Elizabeth Wein! Have you read it yet, Shirley? I think you'd enjoy it. It prompted me to do my own research about the concentration camps set up by the Nazis, and I discovered that some of the characters in the book were actually real! They didn't have very big roles, but it still blew my mind and made me love the book all the more. Anyway, lovely review! I hope I'll get the chance to read this soon, it sounds amazing. I just read this one too Shirley and loved it just as much as you did. I'm not usually a fan of Historical Fiction, but almost inhaled this one. I had no idea it was a debut author! Wow, that makes it all the more incredible really. So excited that there's going to be at least a follow up book. Like you, I've become fascinated now too. Awesome review! I did really like how it was set BEFORE the war and how we got to see how Hitler was up close rising to power. I'll definitely be reading the rest of the series as I'm curious to see how it will turn out. I'm really happy you loved it though!! 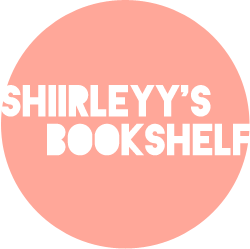 I remember reading your interview with Anne last year and being highly intrigued about this book then, I'm glad that it left such a lasting impression with you Shirley! I can't wait to give this book a try! Gorgeous review as always! I love stories of forbidden love too, though I don't think I've ever thought about it in this particular time era. It is the sort of thing that haunts you once it lands in your head. And yes! A good historical fiction always makes me want to do my own research too. Elizabeth Wein and Markus Zusak had that effect on me, and so did Anne Blackman. Great review, Shirley! I love history as well, but I enjoy medieval and ancient history a lot more than modern. WW2 stories seem to be so overdone, so the fact that this one intrigued me is saying something! I really want to pick up this book, just to read a different perspective behind Hitler and WW2. I can't believe she's a debut author as well! I don't blame you, I love psychology and find it such a fascinating subject. I'd go and read up on psychoanalysis topics as well! I really like how... human Hitler's portrayal was. I could imagine him being this way, because how else did he gain so much followers? I think he had a way to sway people to his side. So I loved how Blankman wrote his character in this book and how we see glimpses of the madness that lurks beneath that charming surface. This was such a well-written historical book and I can't wait for the sequel.